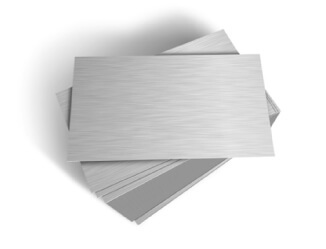 Mild Steel Galvanised Sheets are coated with a protective zinc coating giving corrosion resistance against.Ideal for using outdoors or in industrial applications such as ventilation, woodstoves or air conditioning. Can also be sheared to size & folded if required. Sheets are available in 2mtr x 1mtr , 2.5mtr x 1.25mtr & 3mtr x 1.5 mtr. We offer 0.7mm to 3mm thick off the shelf. Galvanising of mild metal sheets by applying a protective layer of zinc coating will aid in combating rust and ensuring that the mild steel sheets retain shine and colour. This makes galvanised mild steel sheets perfect for replacement of rusted metals that need to be removed..